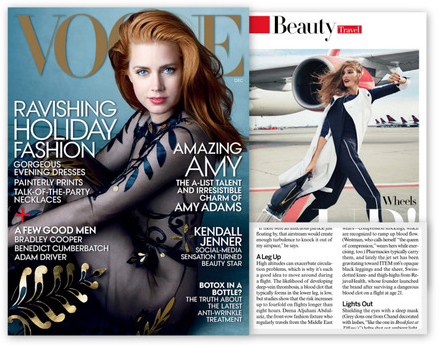 Congratulations to our ClientÂ RejuvaHealth for their feature in Vogue Magazine! The idea for RejuvaHealth came in 2008 when 21 year-old college student, Kelsey Minarik, was diagnosed with DVT, a blood clot in a deep vein of the leg. After her doctor prescribed support stockings as part of her recovery, Kelsey began wearing the garments and quickly fell in love with the relief they provided. There was just one catch – she couldnâ€™t stand the way they looked! Seeking a wider variety of more fashion-forward styles but unable to find them elsewhere, she decided to make her own. Fast-forward two years later and RejuvaHealth was born. Their line of FDA-listed Class 1 Support Stockings are offered in knee high, thigh high, pantyhose, and legging styles as well as two different compression levels. In addition to providing relief from symptoms such as swelling, discomfort, heaviness, and fatigue, compression legwear can also be enjoyed for slimming and shaping benefits. Check them out at rejuvahealth.com!